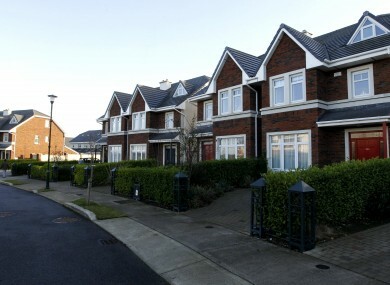 Homeowners will be given guidance as to how much of the local property tax they are liable for but will be invited to self-assess during administration of the charge later this year. THE REVENUE COMMISSIONERS has confirmed that it will include a notice of the estimated value of a house and how much property tax is due when it notifies homeowners of their liability for the new charge later this year. A ‘Revenue estimate’ of the amount of the local property tax homeowners are liable for will be sent out during March with the amount due calculated through ‘third party information’ according to Revenue. This information is likely to come from stamp duty records, rental details and records from the payment of the €100 household charge which has been administered through the Local Government Management Agency. Homeowners will be asked to complete a self-assessment of the market value band of their property, claim a deferral of payment if they are eligible to do so or elect for a specific method for payment and return it to the Revenue. Where the liable person does not submit a return, the ‘Revenue estimate’ will become payable by default and this money will be deducted at the source, i.e. salaries and welfare payments, or through attachment orders. Revenue says that its estimate will “automatically be displaced on submission of the return containing the self-assessed amount” but self-assessed amounts that deviate substantially from the Revenue’s estimate are likely to be queried by authorities. The property tax will be levied at 0.18 per cent of the value of a house with the Revenue estimating that between 85 and 90 per cent of properties will be subject to an annual tax of less than €500. The tax will come into effect in the summer meaning homeowners will be liable for half a year’s payment this year before a full year tax comes into effect at the beginning of 2014. “The return that is submitted in 2013 will be valid for 2014, unless the liable person’s circumstances change or unless he or she wishes to select an alternative payment method,” the Revenue said. Homeowners will be expected to submit their paper return by 7 May this year or submit their electronic return by 28 May. Phased payments will begin from 1 July including direct debit, deduction at source through salary, pension of welfare payments, or else cash payments at certain service providers. On 21 July anyone who elects to make a single, one-off payment of the tax will have the money debited from their bank account. Revenue plans a public communications campaign throughout the first half of this year in order to make people aware of the tax and has published a detailed FAQs document. Email “Revenue to send homeowners estimate of property tax ”. Feedback on “Revenue to send homeowners estimate of property tax ”.